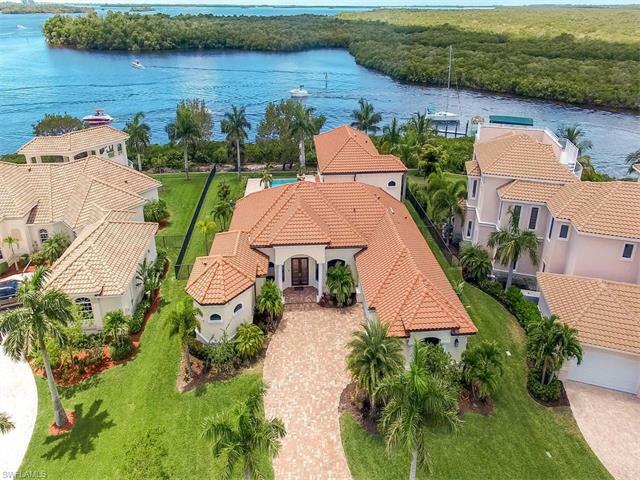 Custom built waterfront home with 10,761 plus sf situated on an over-sized corner lot in sw cape coral on 200+ ft wide san jose canal , with magnificent views from almost every room in the house. Perfect for boaters with 300+ feet of water frontage, two new boat lifts (16,500 with canopy & 10,000 lb), wide intersecting canal views and quick no-bridge no-lock access to open water. Completely gutted and updated inside and out in 2017-18. Open up the sliders to the pools, waterfalls, outdoor kitchen, swim up bar and hot tub to enjoy the ultimate luxury of indoor/outdoor living. 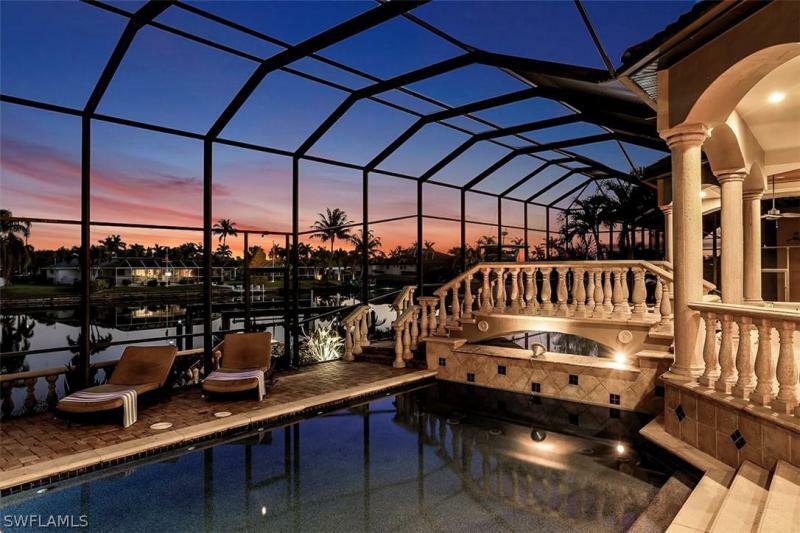 First floor master suite with spa bath and large walk-in closet adjoins pool and private lanai. Rare ac 4-car carriage house has spacious guest suite, full bath and private covered lanai with 360 degree views in addition, the home has home entertainment system throughout, 6 hvac zones, fenced yard, spectacular view of christmas boat parade, and is convenient to tarpon point and all amenities and more. Check out the 3d tour and feature sheet then call for private tour!